Hotel The Hague Most people think of parliament at The Hague. 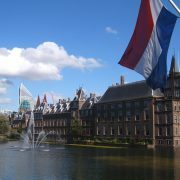 Namely, the Dutch government and parliament are located in the city and it is the residence of the royal family. Although it is not the capital of the Netherlands, it certainly fulfills this role. All embassies and ministries can be found there. In addition, the city is home to many national and international courts, including the International Court of Justice, and the International Criminal Court. In addition to the parliament, it is also a place with lively crowds and many cultural activities. It can also be an oasis of peace, because just outside the city you can empty your head on the beach. The 11 kilometer long beach gives The Hague something special. The horizon, the fresh sea air and the swimmers, walkers and surfers evoke a holiday feeling for four seasons. A weekend in The Hague means choosing. In virtually no other Dutch city there are so many attractions and special things to see. Pay a visit to the famous Binnenhof or discover Holland in miniature at Madurodam. 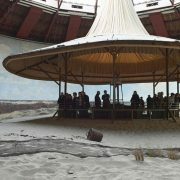 Relax on the beach of Scheveningen or view the most beautiful masterpieces in the Gemeentemuseum Den Haag. One thing is certain: you will certainly enjoy yourself here. 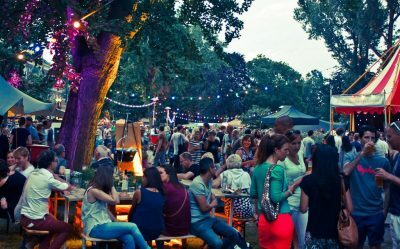 Whatever you are planning in The Hague, there is something for everyone. And after a busy day in the city or on the beach it is great to come home on one of the hotel ships in the harbor. Spending the night on a ship is something different during a weekend trip or a family outing. And if you are a couple, you have a bed for 35 euro or less! You sleep on a ship with an atmospheric salon as a central center. A comfortable and made-up bed awaits you in your cabin. And in the morning there is a nice breakfast for everyone in the salon. In the morning you can drink a cup of coffee on deck while you look out over the water. And you do not have to hurry, because you can stay on board for up to 11 hours. And you can not find ideal accommodation then you can feel free to contact us. We are keen to find a suitable property to measure. Because sleep ships to anywhere there's water. The Hague is a very diverse city with an equally diverse environment. 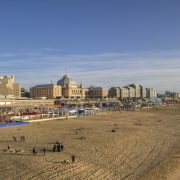 The city is located next to two seaside resorts Scheveningen and Kijkduin. Here you will find a wide sandy beach with dunes and a large nature reserve. Because of its location by the sea, The Hague an international tourist resort since the 19e century. It is very much organized. Almost every weekend there is to visit a festival in the field of pop music, dance, art, film, literature, theater or sports. Many events are still free to visit. Exactly 100 years ago, the Dutch art movement was founded De Stijl. Chief representative is the famous Piet Mondrian. In 2017 tackles Hague therefore with plenty of activities surrounding the famous artist and influential art direction. The Gemeentemuseum is central, it owns the largest Mondrian collection in the world. 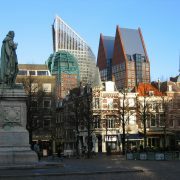 The Hague's city center is great for shopping. The stores in the car-free historic center are open seven days a week. 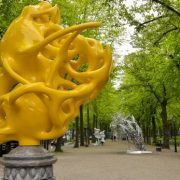 Here are the famous department stores like De Bijenkorf and within walking distance you can also indulge yourself in the trendy concept stores around royal palaces. And who goes to sea, discover neighborhoods with many more specialty shops.